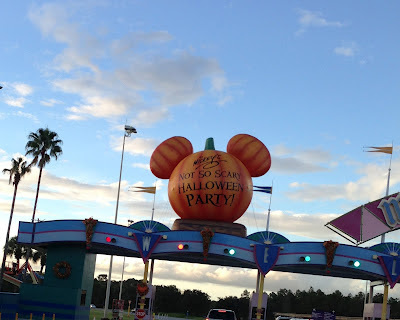 I wrote a blog entry a couple of months ago about Mickey’s Not So Scary Halloween Party, giving an overview of this really fun event held at Walt Disney World for several nights in the Fall. 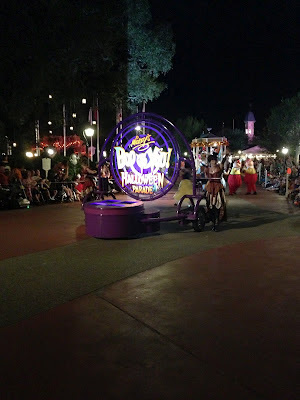 Last weekend I was up in WDW and went to the Party on Friday night, so I’ve brought back a more in-depth report along with pictures and video to share. As mentioned in the previous post, even though the Party doesn’t officially start until 7pm, they will let you in as early as 4pm with your Party ticket. There are cast members on hand to put a plastic Party wristband on your wrist (the CM who did mine insisted it had to go on the right wrist) so other CMs would know you were there for the party. The wristbands come into play once 7pm rolls around...if you have one on, CMs will continue to let you ride rides and enter areas deeper in the park while guests without the wristbands are directed to the front of the park to the exit. Between 7-8pm as I walked from land to land, there would be lines of CMs checking for wristbands before they would let you continue on. You should also get one of the Party brochures-it has a map showing the locations of all the candy stations, a schedule of events (and their locations if applicable) as well as the locations of Party-specific merchandise for sale. Next up-Character Dance Parties. There are two dance parties, one in Tomorrowland at the Rockettower Plaza Stage (Stitch’s Club 626) and the other at The Diamond Horseshoe in Liberty Square (Woody’s Happy Harvest Roundup). Here you can dance with the characters and get some fun action pics with them. There are DJs playing music, and the kids look like they’re having a fantastic time. Some of the characters have some pretty choice moves, too. On to the Villains’ Dance Mix & Mingle where Disney villains perform on stage, then come down to meet the audience and take pictures with guests. They are not out for very long after each show so if you want to meet and get pics, be ready! 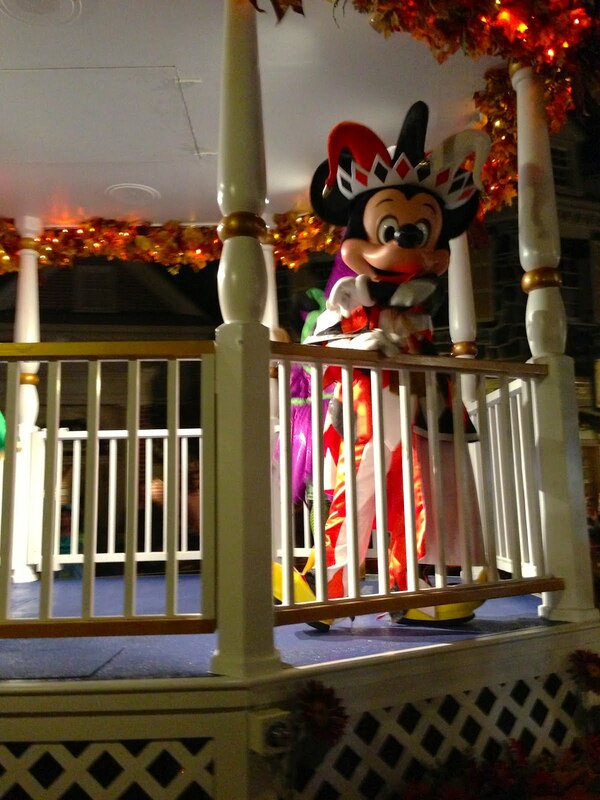 One of my two favorite parts of the Party-Mickey’s “Boo-to-You” Halloween Parade. 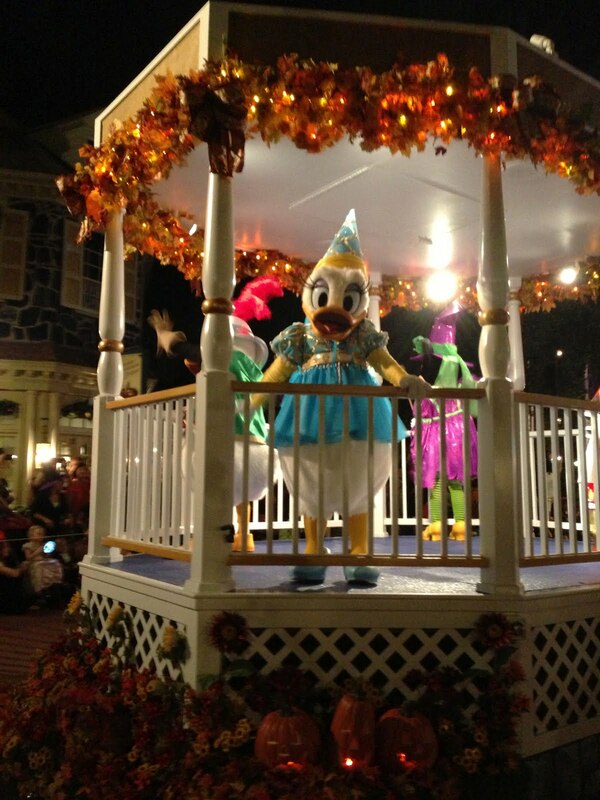 The parade runs at 8:15pm and again at 10:30pm, starting in Frontierland then making its way through Liberty Square, around the circle in front of the castle, then up Main Street. 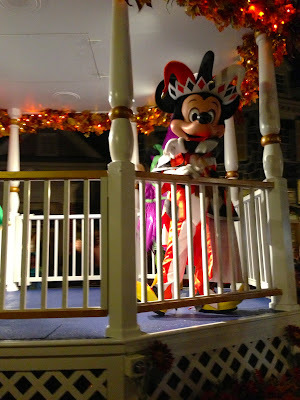 Once the parade starts, you’ll get to see the characters dressed up in their Halloween costumes plus floats that place the Disney Villains center stage. The Haunted Mansion characters are prominently featured including a cool routine by the Gravediggers. The 10:30pm parade is normally less crowded than the 8:15pm parade since many families, especially those with very small children, tend to leave after the fireworks. Even if you’re not a parade person, I still highly recommend the Boo-to-You parade as it’s one of the best ones WDW does during the year. Just don’t blame me if you get the song from it stuck in your head. Really. Oh, and keep your candy bags ready for Goofy’s candy crew at the end! My other favorite part of the Party is the Happy HalloWishes fireworks spectacular. It starts at 9:30pm and can be seen from just about anywhere in the park. I would recommend a location to the right of the castle near the bridge to Tomorrowland-if you plant yourself right smack in front of the castle, some of the lower fireworks may be blocked by the castle itself. It’s a fantastic show, and many people believe only the July 4th show is better (though I can’t comment on that myself as I’m not crazy enough to brave the crushing July 4th crowds to see it). The finale really is totally amazing! One thing to note-if you are one of those people who loves getting pictures with the characters, you’ll love all the character greeting opportunities throughout the night. You’ll even see many characters that are not normally seen anywhere else in the parks, or are rarely seen-like all Seven Dwarfs at the same time. And if you want that coveted pic with all seven of them, get there early (they meet just outside of Splash Mountain) and be prepared to wait--seriously, an hour wait is not out of the question. But you’ll probably never get all seven of them at once at any other time. 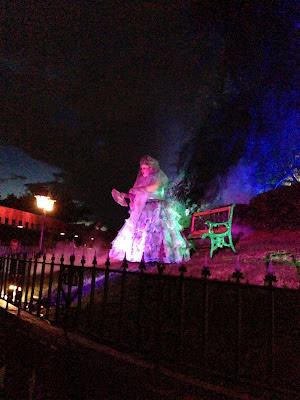 Another really cool character meet are some of the lady ghosts from the Haunted Mansion. They come out and sit on a bench on the lawn of the Mansion-just behind where the haunted carriage is parked-and converse with guests. They are hilarious so make some time to go check them out. And of course, one of the great perks of the Party is shorter ride lines. Since this is a separately priced event and ticket availability is limited since they cap the number of available tickets, the lines are much shorter-like 5 minutes for Space Mountain, Winnie the Pooh and Splash Mountain (even though the night I went was hot and muggy!). The longest line I saw all night-and on a Friday night, one of the busier Party nights-was Peter Pan at 20 minutes...which for Peter Pan is actually a pretty decent wait time since it routinely sees 45-60 minute waits during regular park hours, even at slower times of the year. -Don’t be in a rush for the candy lines. Early in the evening, the lines will be very long. While they generally move along at a steady pace, the later in the evening you go through the lines, the shorter they will be. Lines for the candy trails move faster than the single stops. -Arrive early. Remember, they start letting Party guests in at 4pm. Make sure you use your party ticket to enter, not your regular ticket so you don’t waste a day on your park ticket. -Stay late. 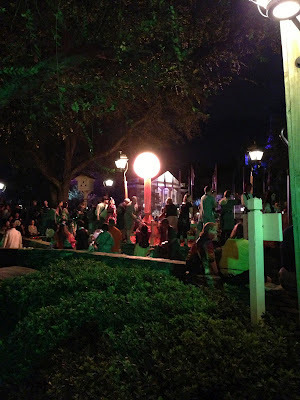 The Party ends at midnight, and the later you are there, the fewer guests that are there resulting in even shorter lines for rides, candy and character meets. -If you do stay until the park closes, don’t head out immediately to the monorail or ferry...they will be jam-packed and stay that way until just after 1am. I sat on a bench out in front of the park and just people-watched until the line at the monorail was almost gone, then took the last monorail of the night back to the Transportation and Ticket Center. It gave me a chance to rest up without being shoulder-to-shoulder with thousands of other people on a very warm and humid Florida night, then I leisurely made my way back to my car. -If you don’t want to stay until the park closes (or are just too tired to make it that long), leave before the second parade ends. Once that parade is done, a flood of people leave making the monorail, ferry and bus lines just plain crazy. -Dress up! It’s a Halloween celebration after all...you’ll see lots of guests of all ages in costume, you might as well join in the fun! I do highly recommend Mickey’s Not So Scary Halloween Party. 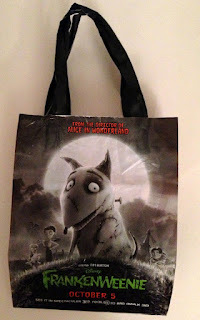 If you are going to be at WDW in September or October, it’s a great separate event to add to your trip and one you won’t soon forget. 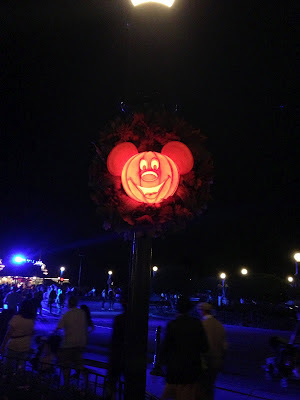 Have you been to MNSSHP or would you like to go? If you’ve been, what’s your favorite part, or what’s your favorite tip?